Make your '14-'15 Chevrolet Camaro SS Coupe tough looking with this great-looking factory style Rally Stripe Graphic kit. The pieces in this kit are precut and ready to install here in Ultra-Metallic Gold. 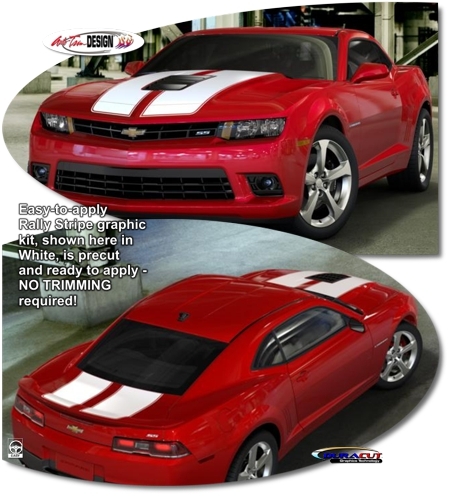 Graphics are specifically made for the '14-'15 Chevrolet Camaro SS Coupe with factory Hood and Spoiler as shown and will not fit any other vehicle.